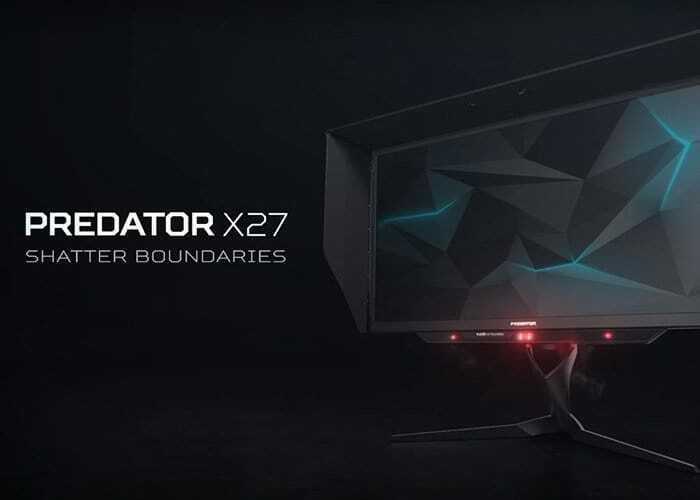 If you are considering purchasing one of the new 4K Ultra HD 144Hz monitors which has been launched by the likes of Asus and Acer in the last few months, you may want to hang on to a hard earned cash a little while longer. As those that have been able to get their hands on the new $2000 monitors are reporting issues with hitting full resolution at the new 144Hz settings. Making the displays look noticeably worse above 120Hz. The Kit Guru website reports that “multiple reports have hit the web since ASUS and Acer gave hands on experience with their PG27UQ and X27 4K 144Hz monitors, revealing that the displays seem to look noticeably worse when breaching 120Hz – The current limitation of DisplayPort 1.4”. To provide the extra above this ceiling hardware manufacturers are utilising “4:2:2 chroma subsampling” to deliver the higher resolutions, which unfortunately also creates a softer, blurrier image. WhileMore standard monitors use non-subsampled resolution at RGB 4:4:4. Redditor Glennwing explains that the use of G-Sync might also be a contributing factor to the limitations. Nvidia’s exclusive hardware forces manufacturers into using its proprietary display controllers, which are often “behind on interface support and very barebones in feature support”. As more information becomes available to the ongoing issues of high resolution 4K 144Hz monitors we will keep you up-to-date as always.